This tough-as-nails Silverado 1500, with its grippy 4WD, will handle anything mother nature decides to throw at you** Chevrolet CERTIFIED* My!! My!! My!! What a deal!! CARFAX 1 owner and buyback guarantee** $ $ $ $ $ I knew that would get your attention!!! 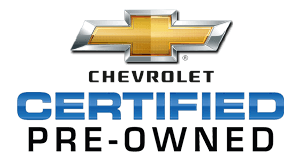 Now that I have it, let me tell you a little bit about this outstanding Truck that is currently specially-priced* Optional equipment includes: Heated & Vented Front Seating, Front Full Feature Power Reclining Bucket Seats, Tires: P265/65R18 AT OWL, LED Cargo Box Lighting...Chevrolet Certified Pre-Owned means that you not only get the reassurance of a 12mo/12,000 mile Bumper-to-Bumper limited warranty and a 2 year/24,000 mile Standard CPO Maintenance Plan, but also up to a 6-Year/100,000-Mile Powertrain Limited Warranty, a 172-point inspection and reconditioning process, 24hr roadside assistance, and a complete vehicle history report.